Invertek Drives is a global manufacturer of Variable Frequency Drives (VFDs / AC Drives) for energy efficient control of variable speed electric motors in fans, pumps, industrial automation, HVAC building services & elevators. The perfect combination of high performance together with ease of use allows even the most demanding applications to be tackled easily by the Opti Drive P2 Variable Frequency Drive. 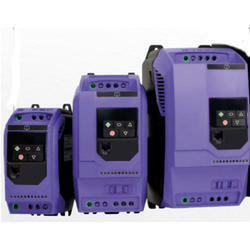 The Elevator Variable Frequency Drive is the 2nd generation dedicated elevator drive from Invertek Drives, designed to provide smooth, reliable carriage control in all elevator applications. The compact external dimensions simplify installation, whilst optional incremental/EnDat encoder feedback interfaces allow compatibility with a wide range of motors. Invertek's renowned motor control capability ensures maximum ride comfort under all conditions, with five independent S-ramps and dedicated motor holding brake control algorithm allowing fine tuning of the system. Elevator Variable Frequency Drive also incorporates Safe Torque Off* as standard, and a range of features including Rescue Mode. Simply power on and OptiDrive E3 Variable Frequency Drive is up and running, providing precise motor control and energy savings using the factory settings.Sensorless Vector Control for all Motor Types Precise and reliable control for IE2, IE3 & IE4 motors.